Earlier this morning, two people died in a crash on a dual carriageway in Cork. TWO WOMEN AND a seven-year-old boy have died after the car they were in collided with a truck. It happened on the N17 Galway to Sligo Road at Lisduff at around 12.30pm. The women were aged in their 40s and 70s. All three were pronounced dead at the scene. Traffic diversions are in place and forensic collision investigators are at the scene. Southbound traffic is diverted to Ballyhaunis and motorists are being asked to avoid the Claremorris junction. #MAYO #N17 Galway/Sligo Rd is still closed south of Claremorris following a collision. Diversions are in place and Gardaí are at the scene. 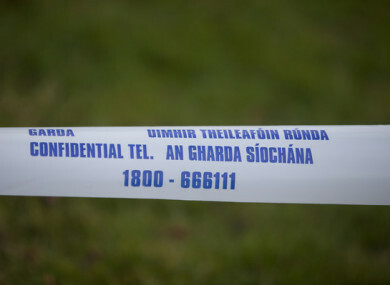 Gardaí are appealing for witnesses to contact Claremorris Garda Station on 094-9372080, the Garda Confidential Line on 1800-666-111 or any garda station. Email “Two women and 7-year-old boy killed in Mayo crash involving truck ”. Feedback on “Two women and 7-year-old boy killed in Mayo crash involving truck ”.